I wanted to capture this “mythic” effect of timelessness and inevitability in my novel The Red Word, a modern story about a war between a fraternity house and a group of ardent young feminists on a university campus. So I turned for inspiration to what is arguably the most massive epic in all of literature: Homer’s Iliad. The female students in my novel are taking a class called “Women & Myth,” and their course readings influence their perspective on the scandal unfolding around them. And life certainly seems epic, doesn’t it, when you’re in your late teens and early twenties? 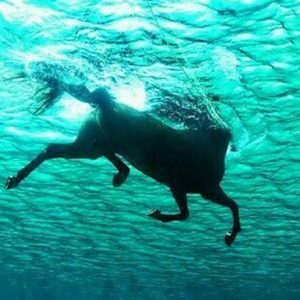 Your highs are Olympian, your lows like a plunge into the River Styx? The books in this list are the smartest, most beautifully wrought adaptations of classical myths I’ve ever encountered—and they all just happen to be by female writers. 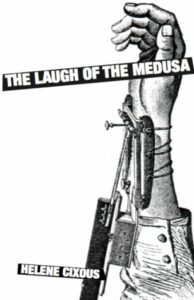 I reread many of these titles while composing The Red Word, loving the sense that these master storytellers were reworking the heavy, hardened clay of the male-centered myths into supple material for building new worlds. 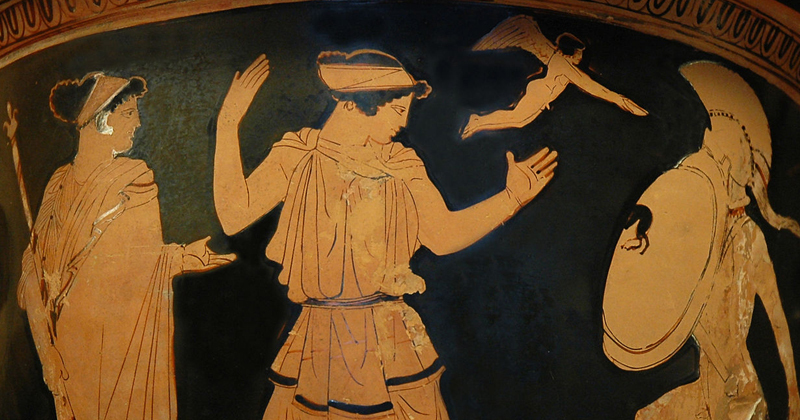 Feminist philosopher and critical theorist Butler uses Sophocles’ myth of Antigone to explore feminist concepts of kinship and citizenship in this non-fiction essay. As dense and difficult as all Butler’s prose, the text is worth reading for its ethical speculations on the question “What makes a liveable life?” Refusing to obey the patriarchal rules of her society puts Antigone in a position of resistance but also mortal risk. Butler uses the myth as a jumping-off point to engage with the work of Hegel, Lacan, Irigaray, and other big thinkers. 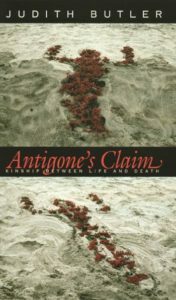 She relates Antigone’s plight to today’s world, where there are increasing populations without full citizenship existing within and between states. Because these people are not being entered into the life of the legitimate community, they aren’t granted full “human” status and so exist perpetually as a “shadowy realm” haunting our public sphere, like Antigone haunts Creon’s state. It’s a wide-ranging, challenging essay that infuses the myth with bold new relevance for modern politics. Geryon and Herakles are reunited in middle age in Red Doc>, a road-trip story in which Herakles is a war-veteran with PTSD and Geryon is a blocked artist dealing with the death of his mother. It’s more playful than Autobiography but every bit as beautiful. Rather than adapting a classical myth per se, Lyon inhabits the minds of two ancient-historical figures shrouded in mythic significance: Aristotle, “the greatest mind of all time,” and his young pupil, Alexander the Great. The two characters are a study in opposite temperaments—Aristotle is icy-blooded and rational, Alexander moody and passionate—and the novel pivots on the transformative effect they have on one another. Aristotle tutors Alexander to aspire in all things to the golden mean, the moderate point between two extremes, but Alexander equates this attitude with mediocrity and cowardice. Amid the grippingly believable scenes of violence at home and on the battlefield, Lyon wisely leaves it to her readers to decide. 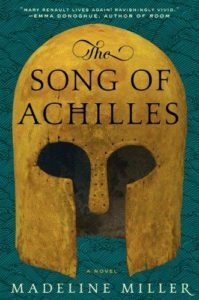 Miller’s Orange prize-winning account of the Trojan War is the imagined autobiography of the famous hero’s best friend and lover Patroclus. We know from Homer that Achilles refuses to enter the war until Patroclus is killed, after which his vengeful grief and rage know no bounds. But it’s Miller who compellingly develops the why of this minor detail, embroidering the outsized deeds of Achilles’s life and death with vivid everyday detail and intimate human emotion. 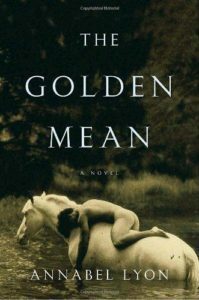 Miller is a Classics scholar by training and a Latin and Greek teacher by profession, and her insider understanding works to great advantage in the novel. There’s also an unexpected anti-war theme running through this war epic, which complicates the hero’s code and raises questions about the ongoing relevance of myth for today’s readers. 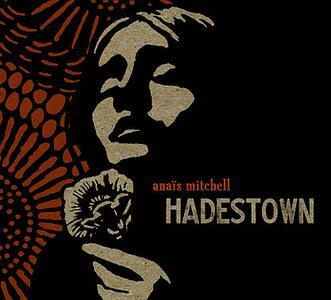 In a wild carnival of swamp-folk songs, Mitchell’s fabulous “concept album” restages the myth of Orpheus and Euridice. Here Orpheus is a soulful but broke minstrel, and Euridice is lured to the Underworld when Hades promises her a decent meal. Mitchell is joined on the album by Bon Iver lead singer Justin Vernon, and Ani DiFranco voices Persephone, the goddess married to Hades who advocates for the fate-stricken lovers. Hades, enraged but in his wife’s thrall, sings, “You and your pity don’t fit in my bed/You burn like the sun in the pit of my bed/and I turn like a bird on a spit in my bed/How long, how long, how long?” The album was staged as a musical off-Broadway in 2016. One of Ovid’s rare un-tragic metamorphoses, the gender-bending myth of Iphis and Ianthe gets Smith’s usual brilliantly inventive narrative treatment in this story of two sisters, Imogen (Midge) and Anthea, who are employed by a soulless bottled-water company. Anthea falls in love with a genderqueer eco-warrior named Robin while Midge climbs the sexist corporate ladder. The book has great fun with gendered stereotypes while immersing us in the epic happiness of new love: “She was as brave and handsome and rough as a girl. She was as pretty and delicate and dainty as a boy. 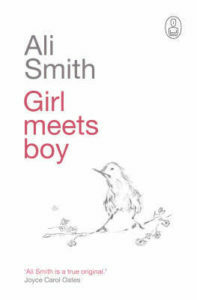 . . she was so boyish it was girlish, so girlish it was boyish, she made me want to rove the world writing our names on every tree.” Slippery and downright silly at times, Smith’s is probably the happiest cover version of a classical myth I’ve ever read. 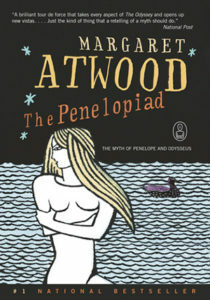 This slim, gemlike volume was commissioned as part of the Canongate Myth Series (published in the US by Grove Atlantic), an imprint that also includes Atwood’s and Smith’s titles on this list (and for those interested in myth retellings I highly recommend all the titles in the series). Winterson offers, in his own heart-wrenching words, the myth of Atlas, the Titan condemned to hold the cosmos on his back. Atlas’s existential suffering and his temporary relief when Heracles comes along to relieve him of the burden (another of the hero’s labors) give Winterson’s powerful poetic imagination ample room to roam. Laika, the doomed little dog that rode into space in the Russian vessel Sputnik, is rescued by Atlas in this version of the myth, and it is testament to Winterson’s skill that it works perfectly well. 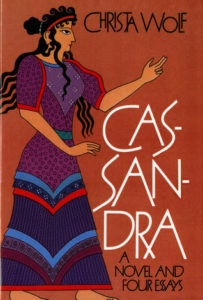 I discussed this book in my PhD dissertation because of the sophisticated way the East German author reanimates the myth of the Greek prophetess Cassandra, cursed by Apollo never to be believed, as a way of talking about the imminent (in the Cold War 1980s) danger of worldwide nuclear destruction. The melancholy, introspective voice of the seeress-narrator reflects back on her experiences in the Trojan War, grieving the loss of her loved ones and questioning her own culpability in the unfolding of fate. *I can’t wait to dive into Will Boast’s new novel Daphne (2018) which remounts Ovid’s story in modern-day San Francisco as a love story between the oversensitive Daphne and Ollie, the man who wants to bring her out of her shell. Like all the books on this list, Boast’s promises more proof that ancient myths have much to tell us about fear, vulnerability, compromise, and love. 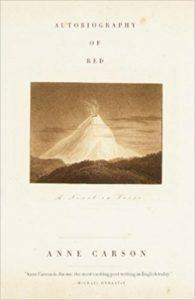 Sarah Henstra’s novel The Red Word was published by Grove Atlantic in 2018. 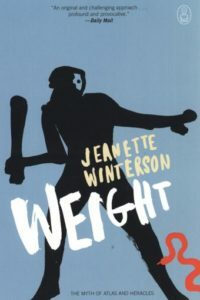 She is also the author of Mad Miss Mimic, a historical novel for young adults (Penguin Canada, 2015), and the scholarly monograph The Counter-Memorial Impulse in Twentieth-Century English Fiction (Palgrave, 2009). She is Associate Professor of English at Ryerson University in Toronto, Ontario, Canada.